Hi! I'm Erik and I created the PGA Tour/Skratch series Adventures in Golf. Welcome to my completely unedited and off the cuff golf podcast that just celebrated its one year anniversary! I release two episodes a week where I seek to uncover the stories of WHY we golf, not necessarily HOW we golf. NO SWING TIPS HERE. Listen on Mondays for a stream of consciousness golf inspired rant and a look into the life of this golf-crazed, travel-addicted and sleep-deprived journalist. On Thursdays, we release an interview with a golf inspired guest -- PGA Tour and LPGA players, actors, architects, coaches, authors and inspirational people from all corners of the golf world. Enjoy! 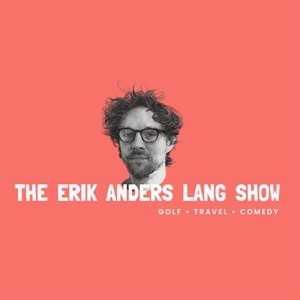 Ep 119: Erik is LIVE (almost) in Augusta!